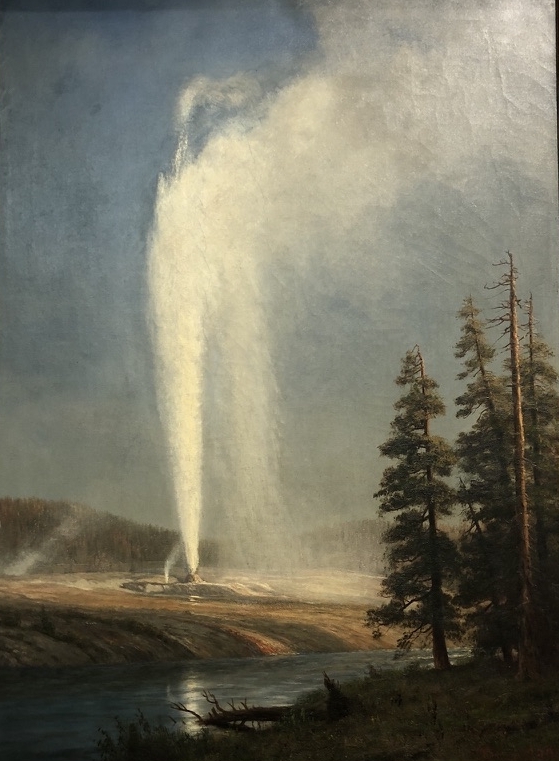 "This is not the first season…[in] the Rocky Mountains,” wrote Bierdstadt for the New York Express in 1881, “but it is my first introduction to the geysers of Yellowstone...We encamped near the geysers, and hence the heat of the boiling water warmed the atmosphere about us. The scene when looking from our tents out into the cool moonlight air, with the silvery spray of the geysers spreading out over the landscape, and the cascades falling from the cliffs in the distance, was very beautiful. I have several sketches here which I intend as jogs to my memory..."